Objective Mechanical Engineering E-book: A complete E-Book for Mechanical Engineering Objective Studies. This book covers the Entire Mechanical Engineering syllabus, Concept top to Bottom Objective Questions with Answers. 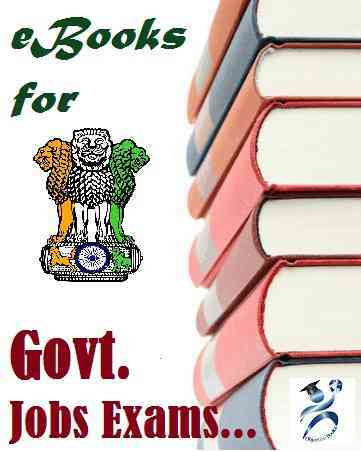 Helpful for interviews and various Competitive Exams. More than 8000 Objective Questions with Answers. Mechanical Engineering Objective Quiz Questions with Answers. 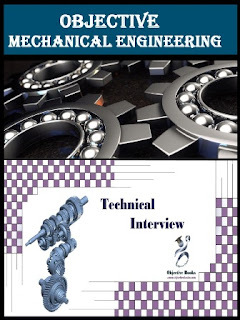 Technical Interview E-book: All Important Mechanical Engineering Technical Interview Questions & Answers covering all the subjects, Important for Viva Exams & Pvt. and Govt Gob Interviews of Freshers and Experienced in each & every field of mechanical Engineering. Note: - If for any reason, after successful payment, the page do not automatically redirects you to the download page, not to worry. First, check your mail inbox provided by you during the purchase to get the details of your purchase and the download link of the eBook. If you don't get the mail, then Please send me a mail to support@objectivebooks.com mentioning your Email ID, Payment Id/Transaction ID and the transaction date, so that I can send you a direct download link for the e-book.